If you know even a little bit about the IT infrastructure of your company you know it runs on things dependent on data, analytics, computation formulas and a laundry list of software acronyms that all do their jobs as they are supposed to. But what if there was one appliance that could ensure the simplicity of networking, storage, and management by streamlining it all into the ultimate data centre? What if this appliance allowed for and adapted to the long-term evolution of your company? What if there was an easy way to get started without the normal headache of a new IT installation? VxRail is a simple platform that can dramatically influence the efficiency of your IT. This one platform can be deployed today and IMMEDIATELY set you on a course to change the future of your business’ HCI platform. 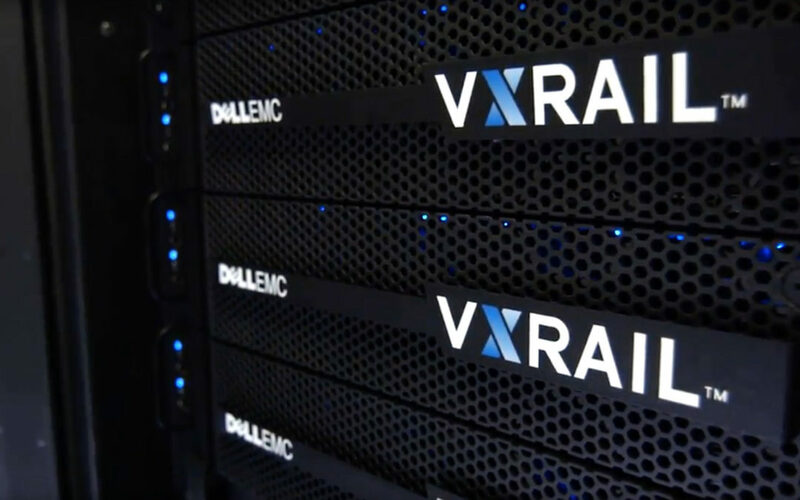 In addition to transforming your HCI platform, VxRail can also take a seemingly complex VMware cloud and simplify it to a system you can actually understand. With Ever Nimble’s services and consultations, you can hop on the VxRail train and ride it all the way to the data centre optimisation you have always dreamed of. Will VxRail ACTUALLY make a difference? Now, you might have trouble understanding how something as small as a VxRail appliance could take the system you are running now and make it into something exponentially more efficient, cost-effective, and centralised… So, here’s the real truth: the VxRail appliance CAN take the system you are running now and make it into something exponentially more efficient, cost-effective, and centralised. No gimmicks. Go ahead, pinch yourself and you’ll see this isn’t just a dream but is quite realistically the change you have been waiting to hear about. Take a look at this comparison and pay attention to solutions YOU can use to streamline the way you manage your IT Infrastructure. How do these solutions sound to you? To us, the difference is pretty stark, and the idea of a centralised and optimised system is something that is hard to pass up. It’s obvious that none of us can continue on without the power of this VxRail/VMware combination. Not only is VxRail good for your company today, but it also provides dependable and reasonable models that allow you to tweak your system and investment as your company progresses and your needs evolve. P Series: Enhances performance for heavier databases in addition to other more demanding systems. V Series: Uses VDI systems to allow for specialised, high-end visualisations made possible by programs with support for up to three-graphic accelerators. We know how much time and effort it takes to convince the world that your company is not just one of many. We know every company has those unique traits that set it apart from the outside competition. VxRail comes with options so that you get what you need for the price you want. Because what’s right for someone else might not be right for you, but VxRail is right for everyone. How do I exert the power of VxRail? There are many platforms that offer installation demos and complicated approaches. If you have done a little research, you probably have a list of questions you would like answered before a VxRail appliance appears in your slightly-hesitant hands. Maybe it sounds like the awesome change you need, but you don’t know how installing it will affect your current infrastructure. Maybe you have read up on the options but still don’t know which series will give you what you want. Maybe your only question is How do I do this in the simplest and quickest way possible? Here at Ever Nimble we have become experts in everything VxRail and we’ve discovered the secrets on how to make this the optimal change for your growing infrastructure. We have seen this system transform the data centers of companies ranging from start-ups to impressive empires. So, if you’re taking our advice, (and we hope you are) skip the exhausting online demos and complicated software installation robots and let Ever Nimble make it easy for you. If you are ready to pull the trigger to make your company a ‘VxRail company’, we’d be happy to be the ones to deploy it for you. If questions come to your mind as you read, we are even happier to give you answers. If you are stuck with a system you wish was simpler and did its job better, now could be your time to make the switch. Set up a consult today and we will get you started.